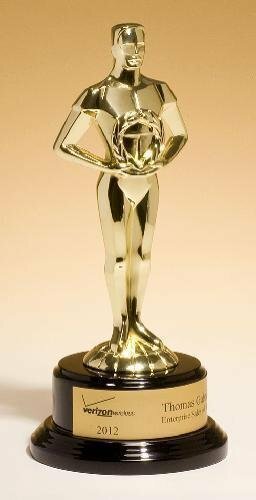 Classic Achiever Trophy cast metal, hand-polished figurine with gold tone finish on black piano-finish base. Flexi-brass self-adhesive plastic plate compatible with laser or rotary engravers. Individually boxed.